Jimmer’s Out, Kemba’s Still Alive, But More Important, How’s Your Bracket Looking Now? Chris "Mad Dog" Russo is down in Florida touring spring training sites with his SiriusXM radio show and had intended to interview Joe Girardi when he rolled into Port Charlotte this week while the Yankees were visiting the Rays. (Russo tells Bob Raissman of the News that he was told that Girardi would appear for a one-on-one interview.) But Girardi stiffed him — for the record, a Yankees source tells Raissman "no guarantees" were made about the appearance — reportedly because the Yankees manager is in the middle of negotiations with the satellite radio company to appear on its MLB channel this season, and the manager's agent wanted to finalize that deal before his client appeared on any of the company's shows. (Joe Girardi: Disappointing former Mike and the Mad Dog co-hosts since 2011.) This story, in and of itself, isn't particularly outrageous — we'd imagine that guests pull out of radio interviews all the time. But it's set Russo off nonetheless and has him calling out Girardi, calling Girardi's agent names, and questioning the promotional strategy of the entire sport. "Who cares about his (Girardi's) negotiation. Promote your sport, for God sakes. I've known Joe Girardi since he first put on a Yankees uniform. Was I asking him to do it for old-time sake? Yeah, maybe," Russo said. "But why not promote the game of baseball? Is Joe Girardi now bigger than the game? This is a disgrace that the Yankees manager who now, all of a sudden, is bigger than God, can't talk baseball with a host who has been on (the radio) for 30 years - 20 in New York - for five lousy minutes when the only other thing he had to do was sit around picking his nose." "But look how bad things are. I'm the only guy doing talk shows (from spring training sites) and (Bud) Selig and the powers that be wonder why a Richmond-Morehead State basketball game gets a better (TV) rating than a baseball playoff game," Russo said. "If they promoted their sport properly that wouldn't be the case." Then Russo put the onus squarely on Girardi. "That agent of his, that freaking hack, is all of a sudden dictating terms? But I don't blame the agent as much as I blame Girardi," Russo said. "You don't let the agent do that. It's your business. Show some guts. It makes you look like an idiot." There's a lot to unpack here — we're not sure any of this suggests Girardi is bigger than the game and/or God — but if this really has to do with Girardi's negotiations with SiriusXM, it sounds like Russo is something of a bystander who became a tangential part of that process. (Russo tells Raissman he considers the negotiations a convenient excuse.) We see the Mad Dog's point, at least in part: His traveling around spring training sites is good publicity for the league and its teams, and having players and managers appear on the show is even better publicity for them. (Of course, the Mad Dog stands to gain here, too, and probably expects to be thrown a bone — pardon the pun — every once in a while.) 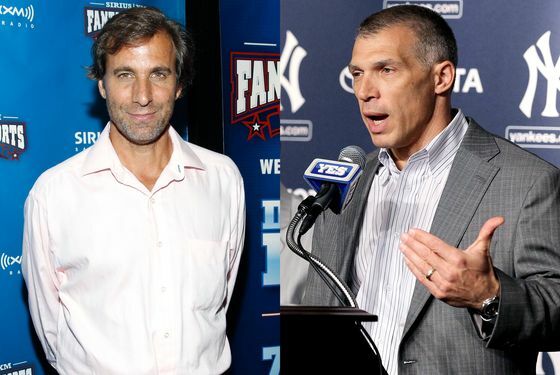 We're not sure this incident is indicative of a larger, leaguewide promotional problem, but the relationship between a host like Russo and potential guests like Girardi can be a symbiotic one. In this case, that all broke down. It happens. On to the next show, or the next game, or in Girardi's case, both.